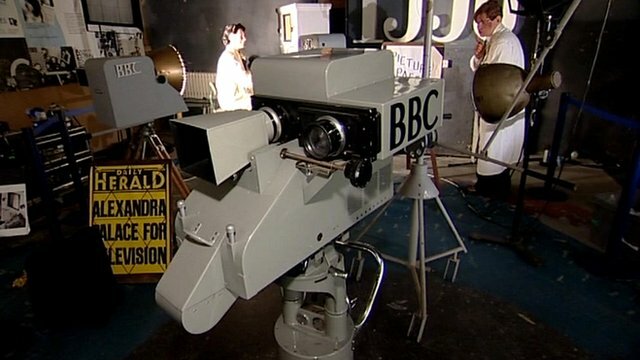 BBC celebrates 75 years of TV Jump to media player It is 75 years since the first regular TV service began broadcasting from the BBC studios at Alexandra Palace in North London. Behind the scenes at the cradle of TV Jump to media player Television historian John Trenouth takes Nick Higham behind the scenes at Alexandra Palace to explore some of the stories from the early days of TV. 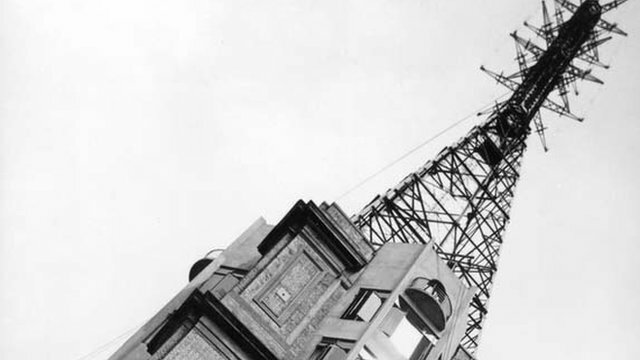 It is 75 years since the first regular TV service began broadcasting from the BBC studios at Alexandra Palace in North London. Nick Higham has been to the "cradle of television" to find out how it all began.